HEY I GOT REAR-END, NOT TOO LONG AGO. MY CAR IS IN THE SHOP GETTING REPAIRED AND I ASKED FOR A Seibon OEM Style Carbon Fiber Trunk. THEY ARE WILLING TO PAY FOR THE HATCH,ALL I HAVE TO DO IS PAY FOR SHIPPING, WHICH IS 150 BUCKS OR SO. BEACUSE IT WASNT ON THE CAR TO BEGIN WITH.BUT, THE QUERSTION I WANT TO ASK, IS IF ANYONE HAS FITMENT ISSUES WITH THE SEIBON HATCH. I have a Seibon CF hatch with stock struts. Due to the lightness of the hatch once its unlatched it tends to fly upward so you have to really careful. The fitment is excellent. 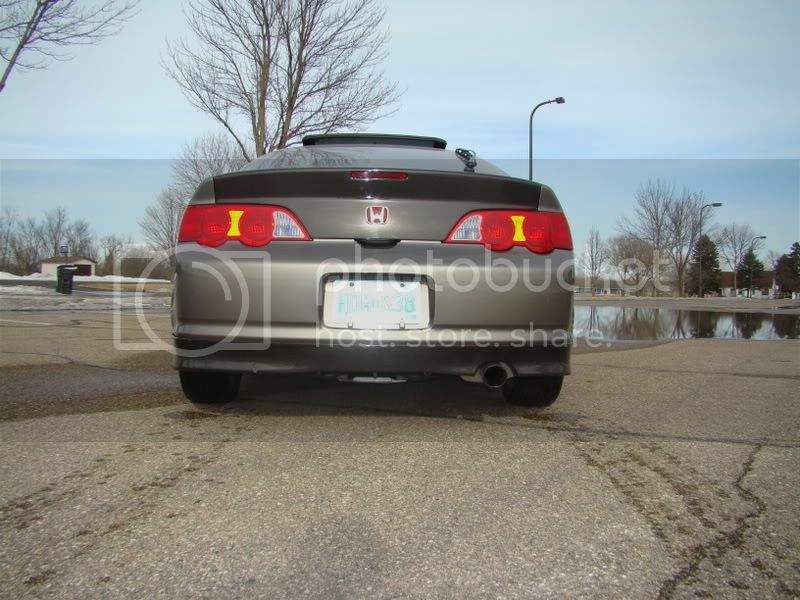 I am thinking about doing the Mugen hatch latches though just to be on the safe side. get one cuz they're sick but dont use the shocks, honestly when do you need your trunk to stay up anyway? try using just one dampner. or see if you can get the pwjdm hood dampners and see if you can rig those to the trunk. the pwjdm ones have 2 settings...one for a regular hood, one for cf so it doesnt release like a bat out of hell. Seibon hatch with stock struts, no problem. true, looks very nice. clean whip. Can't wait till i get mine!! i saw one guys seibon hatch and the fitment looked ok but he said it didnt come with any way of mounting the 3rd brakelight so he had to use silicone to keep it in place. Why is it so loud in here!!! Anyone having trouble with the trunk tray? Mine will not stay in place, it tends to fall out of place when driving over bumpy roads. Made me laugh ^^ Since the dead has risen anyone have more input on the 3rd brake light comment? Are we ever going to get a reply on the trunk tray question? If your trunk tray is moving, the problem has to do with gravity and physics. Do you live in an area with less/no gravitational force that is allowing the trunk tray to lift off the floor of the cargo area?